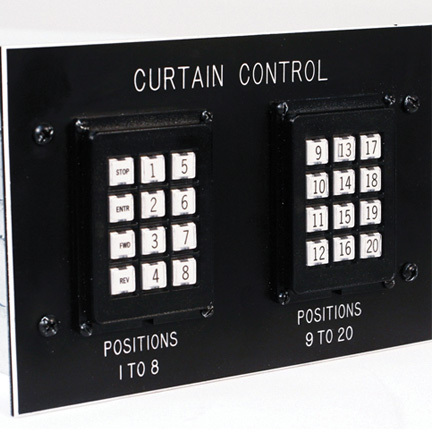 Keypad remote control station provides access to up to 20 preset stops or cues as well as access to the programming and jog functions of the LogiStop® controller. The unit is designed for flush mounting in a wall or control cabinet and is equipped with an etched Lamacoid faceplate, internal terminal strips for field connections and a metal junction box. Use only with Model LS-1 Logistop® equipped machines. Faceplate is approximately 5" high x 7-1/2" wide.